Statistics show that 63% of marketers believe that there will be an increase in spending on brand marketing over the next year*. That means that more businesses find branding to be a integral part of their marketing efforts. An efforts that pays dividends to the company's bottom line. If you've been looking for an opportunity to start branding your company, now would be a great time to get onboard. Don't be left behind as your competition develops innovative new product packaging design or a great new marketing strategy. But how do you use things like product packaging design, social media accounts, and website design to brand your company? The trick is to focus your energy on two separate yet connected areas: the internet and the real world. If you're wondering how to brand your business, the first place to start is usually with your product. Consider one of the most successful brands in the United States, Coca Cola: because of their popular product, easily recognizable images, and large, effective ad campaigns, they have been able to attract and retain a large consumer following for over a century! Use companies like Coca Cola and other popular brands as your branding inspiration. Keep an eye on trends: for example, studies show that modern customers are often attracted to simplistic packaging. Additionally, sustainable packaging designs are becoming more and more appealing to consumers who are increasingly environmentally-conscious. Once you've created a physical retail packaging design, you should focus on building your brand by turning your attention to your company's web presence. According to Forrester Reports, $1 trillion of retail sales revenue in 2011 (that's 3 years ago) were "web influenced", and as many as 51% of online shoppers are more likely to buy from a website that has been optimized for mobile usage. For these reasons, it is important to ensure that your company website has a custom ecommerce web design feature, which includes mobile optimization. But internet marketing has developed beyond company websites: today, it is just as important to market your company on social media. Around 46% of online shoppers use social media sites for information when purchasing a product online, but social media is also used to attract consumer attention. As many as 61% of customers say they prefer a brand that offers custom content and products, and likewise, interesting content is one of the top three reasons people follow brands on social media websites. So if you're interested in learning how to brand a business, focus on the physical and online presentations of your company. Look around for packaging design inspiration. Perfect your website and optimize it for mobile usage. Create accounts for your business on social media, if you haven't already. And if you find yourself needing assistance, hire a branding company to help you find that packaging design inspiration and manage your social media presence. Branding isn't created instantly, but is built over time and is used consistently across all marketing channels; start the process by contacting an advertising company today. *Nielson: 2013 Online ADvertising Performance Outlook Report. 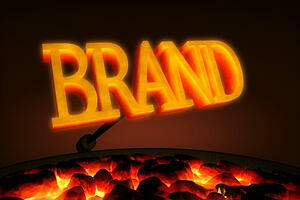 Another Blog Post you may be interested in: What can branding do for your business?